Owensboro. 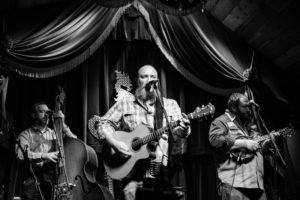 A founding member of the Zac Brown Band, Hopkins has performed for over two decades in southern rock and roots music. Tickets are on sale now. $250 VIP pre-party package tickets which include heavy hors d’oeuvres prepared by celebrity chef Rusty Hamlin is sold out. 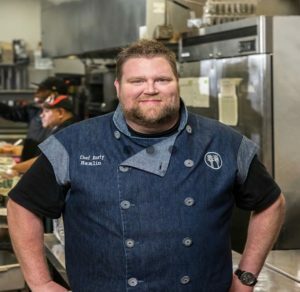 Hamlin is the executive chef for the Zac Brown Brand and host of the renowned pre-concert dinner party, the “Eat & Greet” and most recently the Southern Ground Tailgate on 18 Wheels. VIP table seating is $50, and reserved seating is $35. The museum and lobby open at 6:00 pm, Woodward Theatre opens at 7:00 pm, and the concert begins at 8:00 pm. Discounted museum admission to tour exhibits is available to all concert attendees. Bar and concessions open at 5 pm.